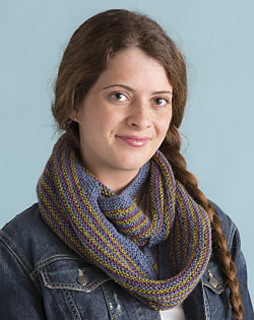 This Garter Stripe Cowl is easy to knit, with a innate cleverness because the stripes are perfectly reversible. A beautiful blend of fibers, this yarn is spun into a gossamer yarn that knits into amazing lightweight pieces. The alpaca provides warmth and a soft halo, the silk adds a subtle sheen to the knitted stitches. Worked with larger needles, Silky Alpaca Lace makes lovely, light-as-air shawls, garments and accessories.